By the mid-1960s, the situation in particle physics was not good. Its aim had been to uncover the basic building blocks of matter, and for a time the end seemed in sight. In 1917 Ernest Rutherford had split the atom and showed it consisted of an electrically positive nucleus surrounded by negative electrons. In 1932 John Cockcroft and Ernest Walton, working under Rutherford’s direction, split the nucleus and showed it to be a clump of positive protons and neutral neutrons. The experimenters’ successes stimulated the mathematical physicists to develop a series of powerful theories. First came quantum theory, and then quantum field theory which extended the classical concept of a field to the new quantum world opening up. With Paul Dirac one of its main creators, it was elegant and beautiful, with various hints of something even deeper. But progress started to decline. The increasing energies of the particle accelerators produced more and more ‘elementary’ particles. By the 1960s it was like a zoo, with not just protons and neutrons but wave after wave of other types of particle – several hundred different varieties. And worse than that, the refined landscape of quantum field theory started to show some potholes. Certain calculations produced terms which went to infinity – the equivalent of the ground blowing up under the investigator’s feet. Stopgap methods were deployed, one being just to subtract out the infinities. It worked, but the feeling of mathematical beauty was being lost. 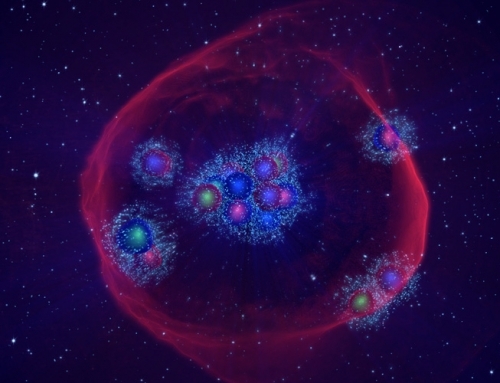 So particle physicists looked for territory that might yield more promising results, and homed in on the strong interaction, the force that holds the nucleus together. The work on the strong interaction went well, and the tide ebbed away from the quantum field approach and flowed into the S-matrix. This marked a big shift in style. 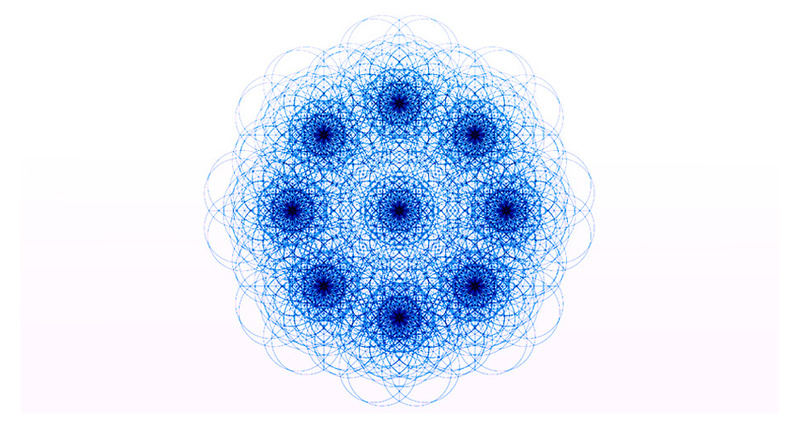 Quantum field theory had been about a search for abstract structure. The new S-matrix world was more about a nuts-and-bolts approach, about practicalities and number-crunching calculations. It was true that the work of Murray Gell-Mann and Yuval Ne’eman had for a time rallied support for the search for mathematical structure. Their approach to the strong interaction had been to apply the mathematical theory of Lie groups. And it has some very intersting and powerful implications. They had found that the particle zoo was structured in beautiful patterns. The strongly interacting particles were grouped in templates of the Lie group SU(3). This group produces patterns of eights and tens. 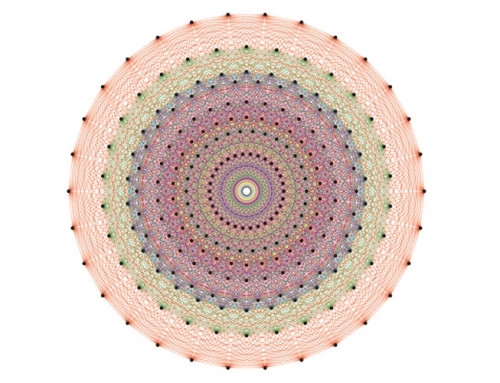 But the mathematics of SU(3) shows that at its deepest level it is formed – generated – out of just three basic units. In 1964 Gell-Mann suggested (as did another physicist, George Zweig, working independently), that as the upper levels were fully associated with known particle – in eights and tens – then the very lowest level would also have its counterpart in nature. The counterpart of this lowest level would be three particles with charges that were in multiples of one-third. 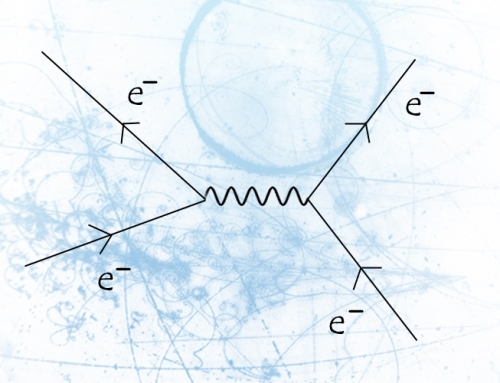 At first, the idea of the proposed new particles seemed quite hypothetical. The theory showed they would be so tightly bound together that it would be impossible to separate them and give any of them a separate existence. But them in 1968 the Stanford Linear Accelerator showed a hazy outline of the structure of a proton – and showed that within the haze the proton did indeed seem to have much smaller, point-like objects within it. It was a bit like finding a layer of rock so hard that no geologist’s hammer could break a piece off and yet noticing that it showed a pattern of nodules within. So the new particles had to be taken seriously, and calculations could be made – and there was a whole new territory of work to do. Gell-Mann had given the new particles a name, but with the caution about whether they really existed, people for a time simply called them a more general-sounding name: partons. 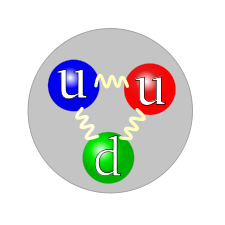 But as the case for them strengthened, so too did the name from Gell-Mann – which was quark. According to Gell-Mann, he came to the name from the sound first, which was ‘kwork’, but he didn’t have a spelling. The American physicist George Zweig, who came up with the idea independently, preferred the name ace for the particle, specualting that there might in fact be four of them. But in fact three quarks trumped three aces and the terminology of Gell-Mann (and James Joyce) is the one which has stuck. So with Lie groups to steer them and quarks to crunch together, the strong interactions dominated the early 1960s. Few people continued to work on the weak interactions, where progress had at one time seemed so promising. The weak interaction and the electromagnetic interaction had been shown to have features in common, a kind of overall symmetry. This symmetry gave hints of a more overarching unity, in which the two apparently different forces would become a seamless aspect of a single electroweak interaction. Some of the differences between the weak interaction and electromagnetism could be accounted for by taking account of a further symmetry, gauge symmetry. This could be applied to a model of an electroweak interaction to break it down into the two types. The approach was developed by Yang, Mills and Shaw, and applied by Sheldon Glashow – who found that it produced two particles. One of these was a familiar one, the photon, a particle-like burst of energy that is formed with the interaction of light with matter. The other one was something new, a kind of ‘weak interaction photon’. And that is where the snag came in that stopped any further progress for several years. The photon has zero mass. This is because, as we noted some time back, mass increases with speed. So a particle with any mass at all, however small, will experience this rising toward infinite mass as it approaches the speed of light. Thus the only way that a particle can travel at light-speed is to have zero mass to start with. The masslessness of the photon is also connected with the distance which it can travel – which is infinite. As we know, if nothing gets in its way, light can continue on its way for ever – which is how astronomers can observe the light from stars so far away that it takes billions of years to reach us. But the weak interaction is quite the opposite. It takes place between particles that are exceptionally close together. Indeed, it is so incredibly localised that the distance over which it can act is no more than a fraction of the diameter of a proton. So if the weak force is to somehow involve the appearance of some kind of particulate energy-burst, that particle has to be born and die within this incredible short distance. This means that its lifetime has to be incredibly brief. This also means that it must have a substantial mass, in order to carry sufficient energy with that ultra-short life. So a theory that proposes a zero-mass photon-like weak particle is simply flying in the face of the facts. 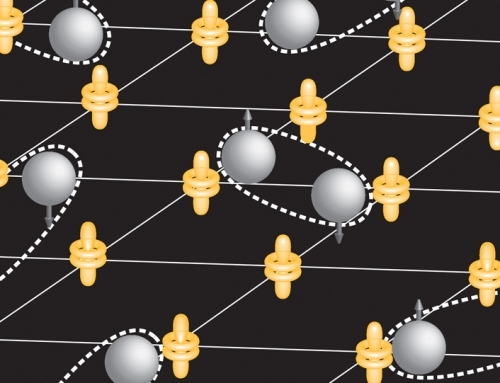 It became even worse than that when the British-born physicist Jeffrey Goldstone showed mathematically that it was not possible to get mass into the weak particles that were hoped could be developed out of the propsoed electroweak theory. The hope had been that you could start with the symmetry and break it a little to get particles with mass. But Goldstone showed that mass would only come if you broke it completely – and thereby defeated the purpose of starting with symmetry in the first place. The challenge looked hopeless – which is why Glashow’s work was put on the shelf and sat there, while the flow of the tide was to the strong rather than the weak. 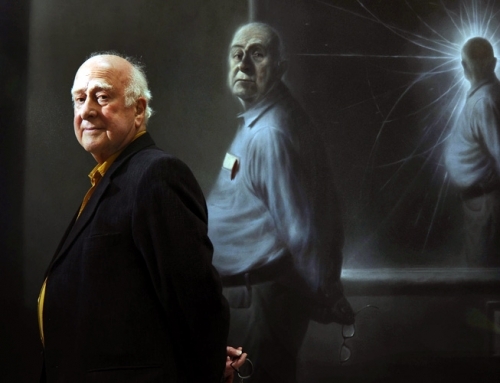 It was the solution of this challenge that was the genesis of the Higgs particle.